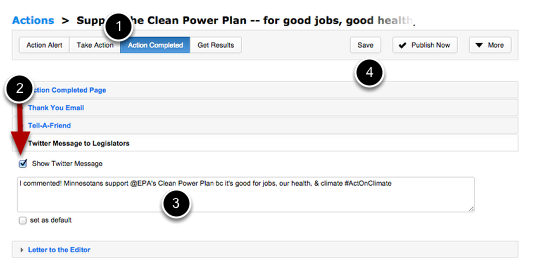 Using the Advocacy software, your action takers can tweet their support of your action to your selected Action targets. Enter message, be sure to include relevant hashtags if using them. 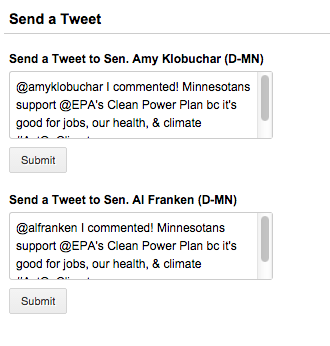 The legislator's target's Twitter handle (name) will be automatically inserted in the Tweet.